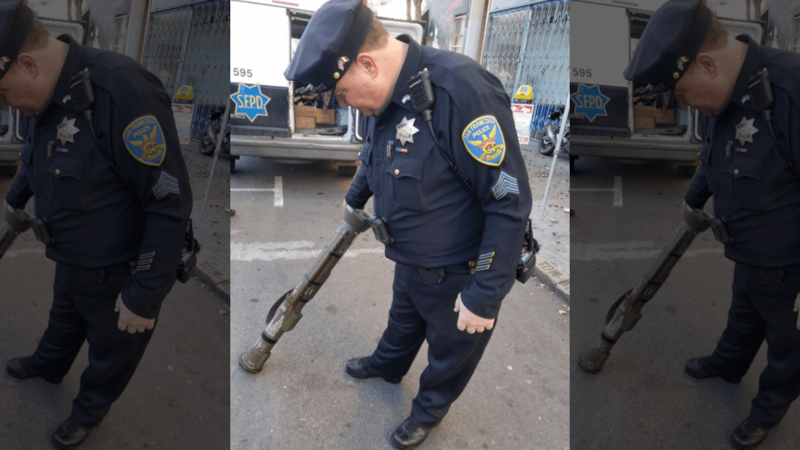 An apparent bazooka-style rocket launcher was turned in at a San Francisco police-sponsored gun buyback event on Saturday – only to be found to be a non-reusable single-use weapon. The shoulder-fired anti-tank weapon was among almost 300 firearms that were exchanged for cash. “We got a bazooka off the streets. We got a cannon ball off the streets. We got assault rifles. We got everything that you can name that could destroy a whole universe and we get rid of them within hours,” Rudy Corpuz Jr., executive director of United Playaz told KGO. However, the bazooka has been identified as an AT-4, a single-use rocket launcher that cannot be reloaded again after firing. Many have mocked the police on social media for celebrating a buyback of the non-reusable weapon. “Embarrassing tweet for trained police firearm experts. Unless your goal was to scare folks. It’s just an empty tube. Can’t be re-used,” wrote one user on Twitter. “That’s an AT-4 Tube. It is useless after it’s fired. You didn’t achieve anything except waste taxpayer money,” another Twitter user seconded. Fox News reports that people were reportedly given at least $100 for a handgun and $200 for assault weapons. It remains unclear how much the individual who gave in the rocket launcher received from the buyback.